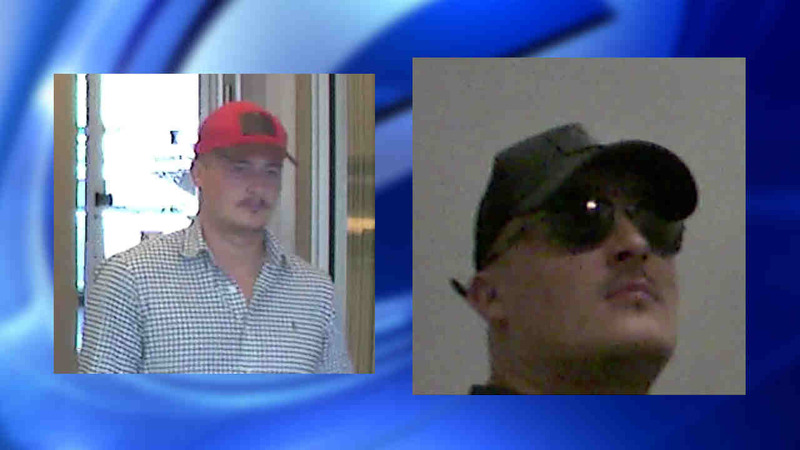 MANHATTAN, New York (WABC) -- Police are looking for a two suspects in a series of bank skimming incidents. Police said they used devices to steal debit card information at a Bank of America at 21 East 96 St. and at a CVS at 420 Fifth Ave. in Manhattan. Then the thieves went to Queens and took money out of their victims' accounts. Police said they've gotten away with nearly $8,000 between Oct. 16 and Dec. 2. Anyone with information about the case is asked to call (800) 577-TIPS (8477).